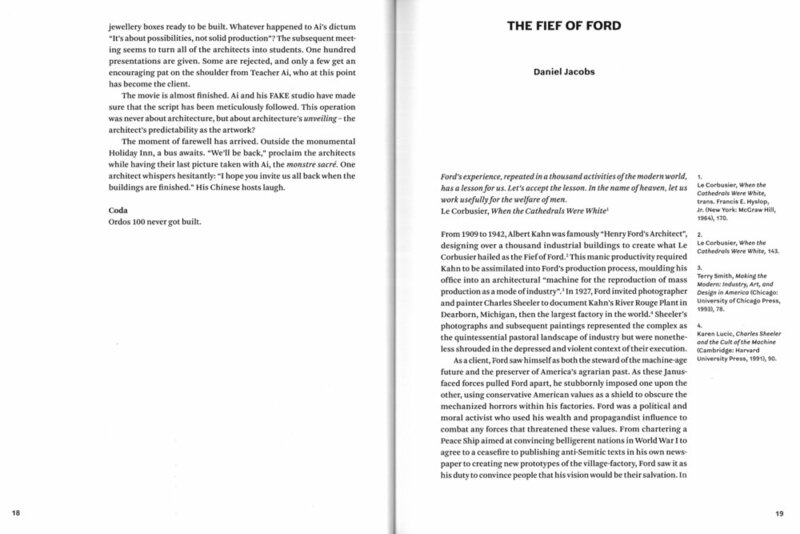 Essay published in San Rocco Magazine interrogating Henry Ford as client to architect Albert Kahn, referred to as “His Architect”, and artist Charles Sheeler, who documented Ford’s River Rouge plant through photography and in a subsequent series of paintings. 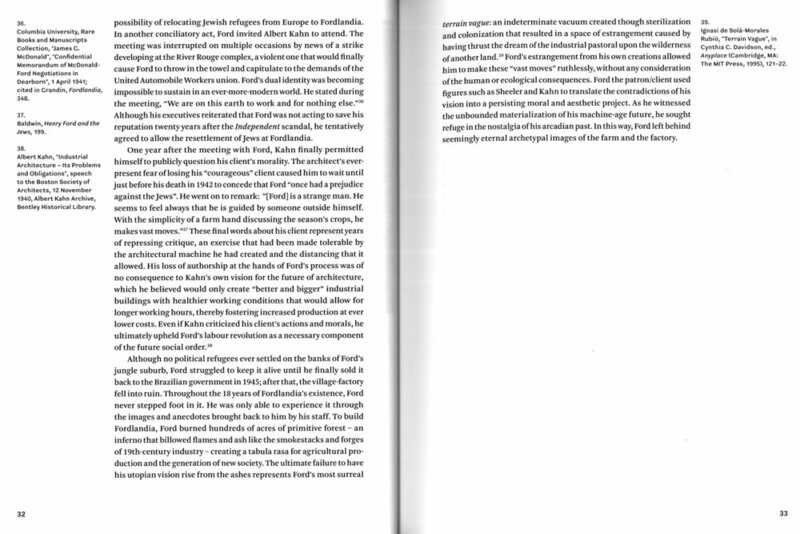 The essay seeks to trace relationship of Ford’s actions with respect to Kahn and Sheeler through the complex social, political, and economic changes occuring within the Ford Motor Company and throughout the rapidly industrializing and war-mongering world. As a client, Ford saw himself as both the steward of the machine-age future and the preservationist of America’s agrarian past. Ford saw it as his duty to convince people that his vision would be their salvation. In response to his client’s power and prejudices, Kahn was forced to distance himself by developing an authorless architecture for Ford. This approach allowed him to maintain an ambivalent stance regarding Ford’s politics while actualizing his utopia. Together, Sheeler’s imagery and Kahn’s architecture played a profound role in shaping the image of Fordist production and the aestheticization of the factory and its context. While Kahn offered Ford a means of constructing his brave new world, Sheeler’s images represented Ford’s desire to escape it.